Welcome to Missouri, 24 state of the US. 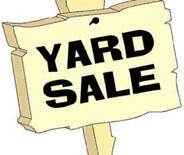 No one can have a yard sale in their front yard in University City, Maine. Clotheslines are banned in Columbia, Maine.